Estate agents are usually the first people you want to see if you need to sell or buy a house and this used to be the only way. These days you have so many choices for many things, you can include private property for sale by the owner, Is there another option? Private property sales, this could be for you, but as with everything, you should do your homework first. Let’s have a look at some of advantages as well as disadvantages of selling private property as an owner. You are in control of the whole process, you set an asking price, and you are involved from beginning to the end. Some prefer private sales as your home is one of your most valuable possessions and feel that they don’t want to involve a third party. Many times, when selling, an estate agent may give short notice on some buyers who want to view the house. You will then have to make plans to accommodate them. Selling privately, you won’t have to leave the house every time. If you already have an interested buyer, then selling privately might be the best option. Today, there are online websites that can help you sell privately, giving you the choice of doing it yourself and saving you on commission. Also, the websites have estate agents, offering you the lowest commission you could find. Different packages are available to suite every pocket. You may save on commission, but you will have to pay more in other areas, like advertising and marketing costs. The process will take up a lot of your time, which otherwise could have been handled by somebody else. You will have to answer calls from prospective buyers and be actively involved even on weekends. You will always have to be professional if you want a successful sale. You as a seller will bear the risk if a sale does not go through. An estate agent usually knows how to qualify a buyer. You will have to be up to speed on all the documentation and legal requirements for a successful sale. Estate agents have the experience and knowledge of the selling process. Estate agents usually have comprehensive lists of contacts that could save a lot of time and hassle. Selling privately might take longer, if you want faster results, an estate agent might be a better fit for you. Now that you know some of the pros and cons and as a property owner wanting to sell privately, what are the next steps to take? First off, as an owner and private seller, you should decide on the selling or asking price of the property. This is where the estate agent usually knows their stuff, but it is still possible for a private seller to calculate this out. The process just requires a little research to get to understand the local market. Learn things like what property is selling for in the area? You could do your own research or there is the option of purchasing a report from a property research company. The next step would be to make your property look good, give it a new coat of paint and tidy things up. Try to make the property leave an impression on a potential buyer. This could also help to speed up the whole sales process. Make sure to fix those little things as well, like a leaky tap or light fixture that’s not working. Remove any personal photos in the house, this helps any potential buyers see the home as somewhere they could start anew. Make sure to get rid of bad smells or stains left by pets. When a potential buyer comes to look at the house, it might be a good time to take the kitty litter outside. Remember to get somebody to inspect the house for beetle infestations and to check your electrical installations. These are mandatory. You could make the home smell nice with fragrance diffusers, brew some coffee or bake some cookies. Make a visible note on some of the advantages living in the area, such as walking distance to shops or schools. The next step is to get your property out there, advertising and marketing are very important. After all, if nobody knows your house is for sale, you won’t be able to sell. Click here for more tips to help you sell your property. Private property for sale by the owner can save you a great deal of money. There is also a lot of work you as the owner and seller will have to do. You will be saving money, but you also need to be careful that you don’t go and spend too much in the process. As there is no agent involved, all the marketing falls on your shoulders. What does this mean and how do you go about doing it? Facebook. A convenient way to sell and buy on Facebook, is to use Marketplace. The icon can be found on your Facebook page. There are filters on the page, where you can put the price, number of bedrooms and more. Once you’ve described your listing, you can share it. OLX and Gumtree. Here your property advertisement can reach thousands of potential buyers world-wide. They also have a Facebook page, which means your advertisement is seen on that media as well. You have both a free option as well as paid, obviously the paid option will reach more potential buyers. Others include Google Plus, Twitter and Pinterest, which all operate in much the same way. There is also the option of creating your own web site, but this may be quite time consuming if done by yourself and costly if you hire a professional. When making use of these social media options, ensure that you add the “Sharing” options to your page as many viewers like to send the pictures of your post to their friends and family. It is also important that you make your contact details very clear to avoid missing out on an interested buyer. For a small fee there is always the local newspaper, which will advertise the sale of your home for a few weeks. This is a very good idea as you are advertising in the area that your house is situated. This means anyone looking for a home in your area will refer to the local newspaper. The cost for this type of marketing is very small in comparison to the estate agents fee. Another method of advertising is to have flyers printed. Then spend one Saturday morning in the local Shopping Centre distributing them to all the shoppers. When making use of the above methods, it is very important to remember to include proper photographs. This will ensure that any prospective buyer will be interested in viewing your home. Never forget the most obvious means of advertising your property, which is placing a “For Sale” sign outside. One marketing strategy that many people fail to understand, is that of setting a correct price on your home. This may not seem like a marketing strategy, however, if the price is set right more buyers will be interested in coming to view your property. The next step is usually handled by the estate agent, if you as a property owner are selling privately, then you will need to find a conveyancer or property lawyer. 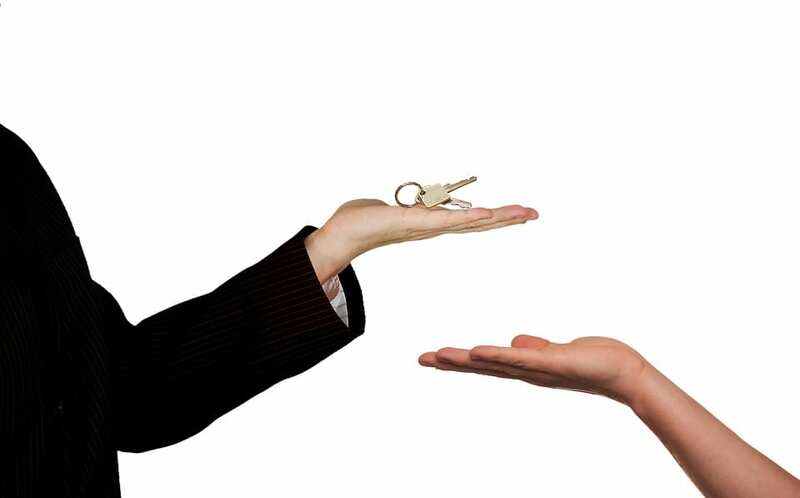 The legal side of transferring the property must be done correctly. They can also offer any legal advice and will have all the necessary documentation for the offer to purchase agreement. Now that you have everything ready, it is time to start showing potential buyers around. You could show the house by appointment to interested buyers or you could also have an open show house day. Obviously by inviting strangers into your home, there could be potential security risks, so try to not do it alone. Appointments could be less of a risk, but then you would need to be available most of the time. When having an open house, you should also ensure your valuables are packed away. Hopefully, you will now be receiving some offers on your house. You should already know the price you want, so negotiating shouldn’t be too difficult. Turning down an offer is something that happens all the time and you should not concern yourself about it. By being professional and polite, those interested buyers may come back again with a revised offer. Finally, you have accepted an offer, the buyer will now have to provide a signed offer to purchase. When you, the seller also signs this document, it is now a binding contract. The conveyance attorney will now take over the rest of the sales process, which will transfer the property from your name to the buyer. This transfer process can take up to three months to complete. At the end of this the property is now registered under the buyer’s name and if you don’t owe any money on another property, will receive the earnings from the sale.